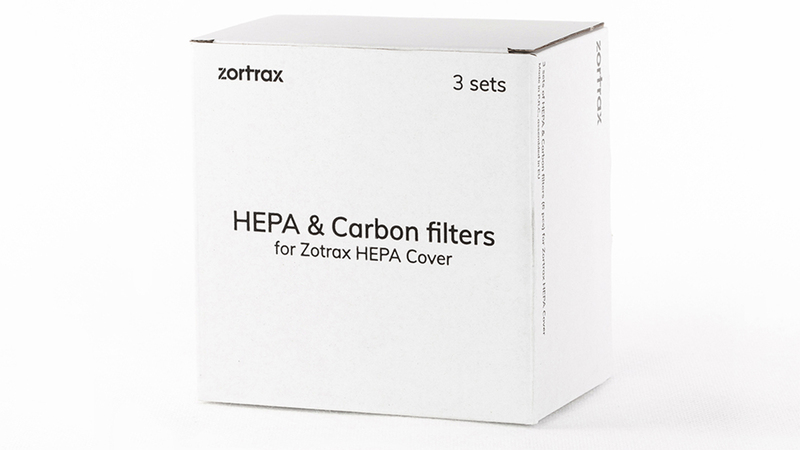 The Zortrax HEPA Cover is equipped with two filters: a HEPA and a carbon one. 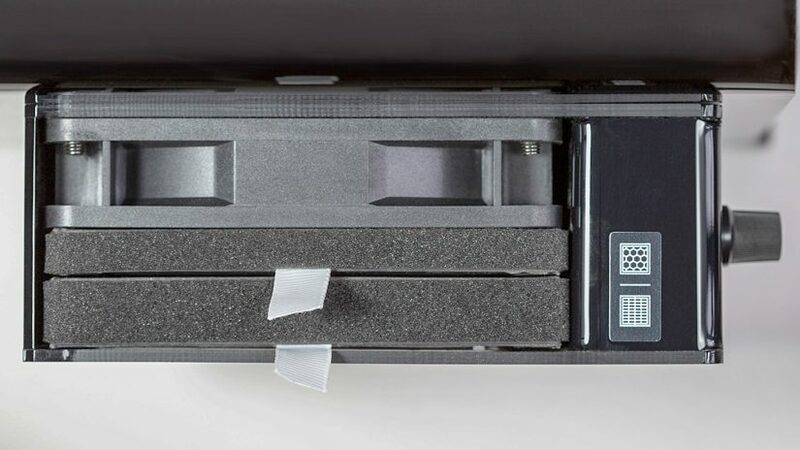 They are installed in the module at the back of the cover. In order to ensure proper filtration during the printing process, both filters should be replaced every 3 – 4 months. This manual shows how to properly replace the filters. 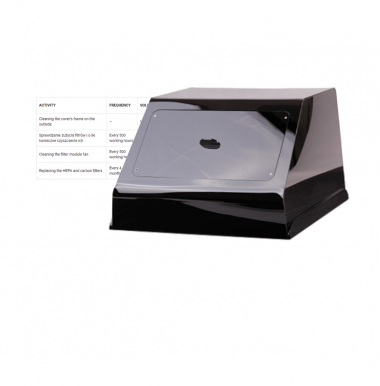 The following manual shows the HEPA Cover 200 repair work. 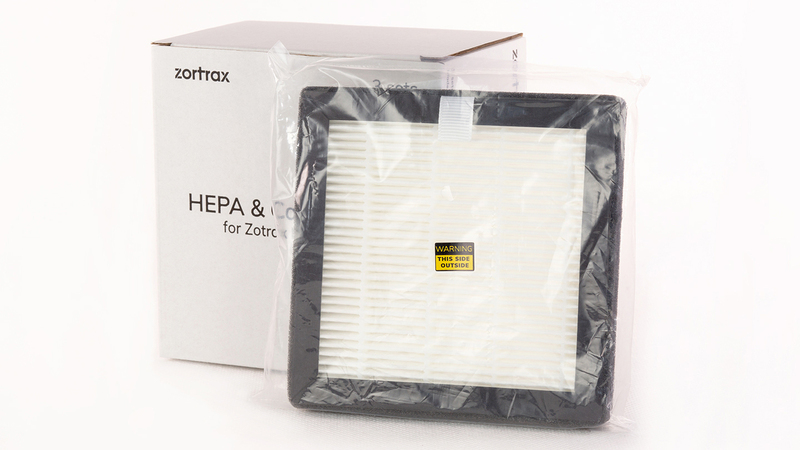 For the HEPA Cover 300, these procedures are the same. 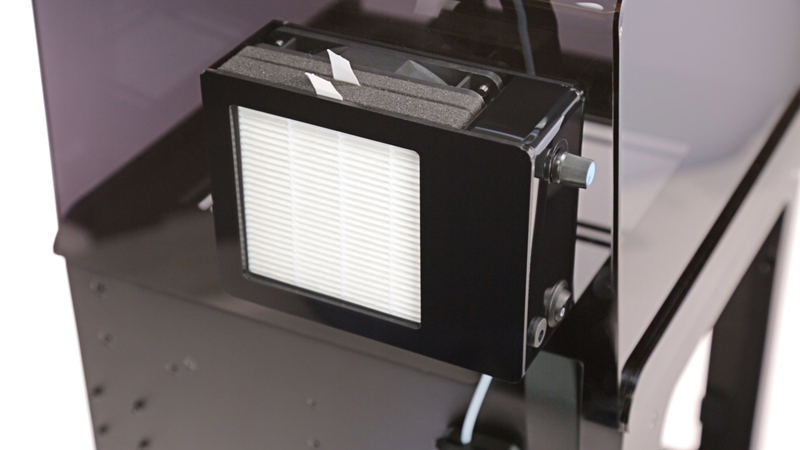 During each filters replacement, use compressed air to clean the fan from dust. 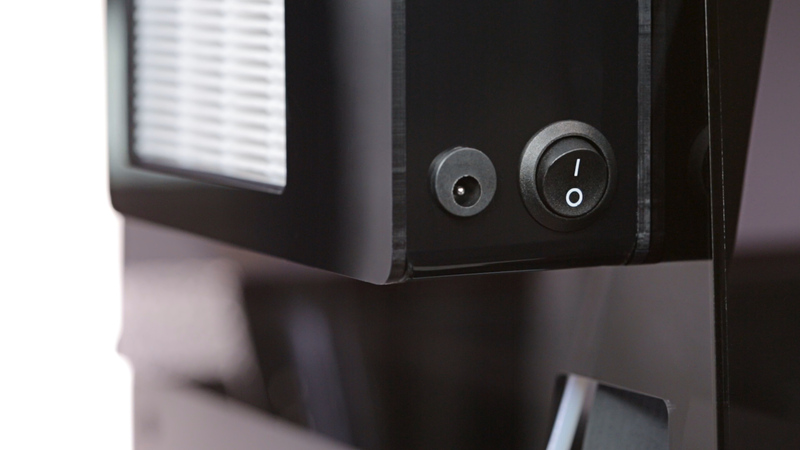 Turn off the HEPA Cover and unplug its power cable. Remove the old filters from the module. 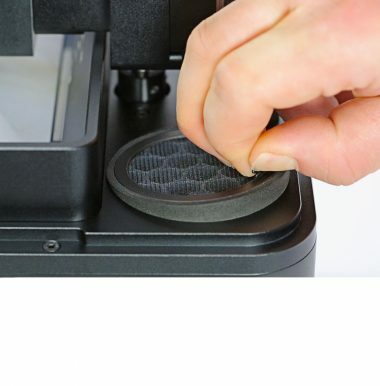 The sticker on the filter module shows how to properly install the filters. 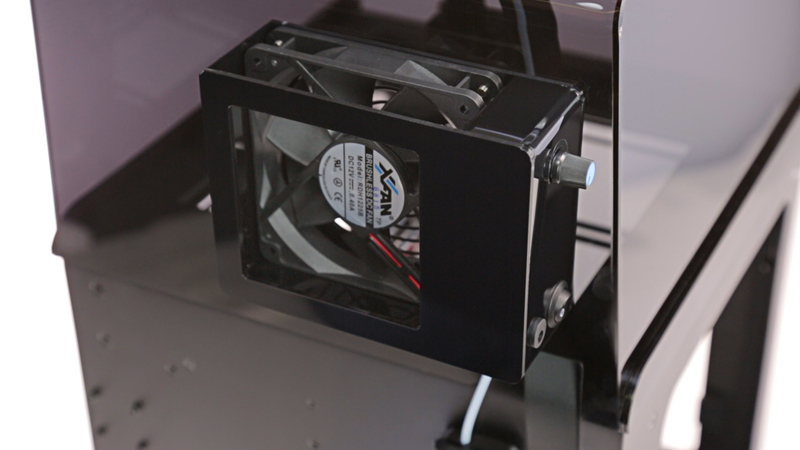 The carbon filter should be placed closer to the fan. 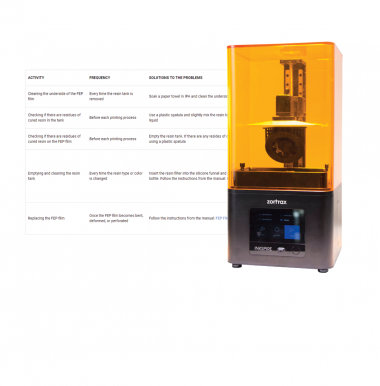 Install both filters in the module. 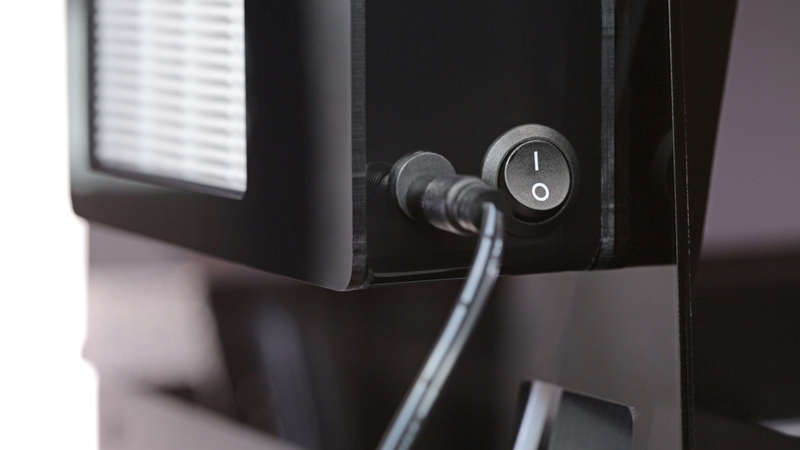 Plug the power cable into the HEPA Cover.